Another CD that has become a classic in my collection. Only four songs in it but it is more than worth. 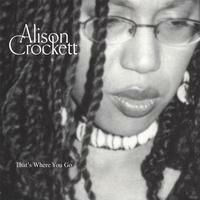 Alison Crockett sings pure jazz with a great voice and very good music arrangements. Play it and enjoy it folks. A nice slice of jazz from the 90's. Overall very good just wish it was longer!